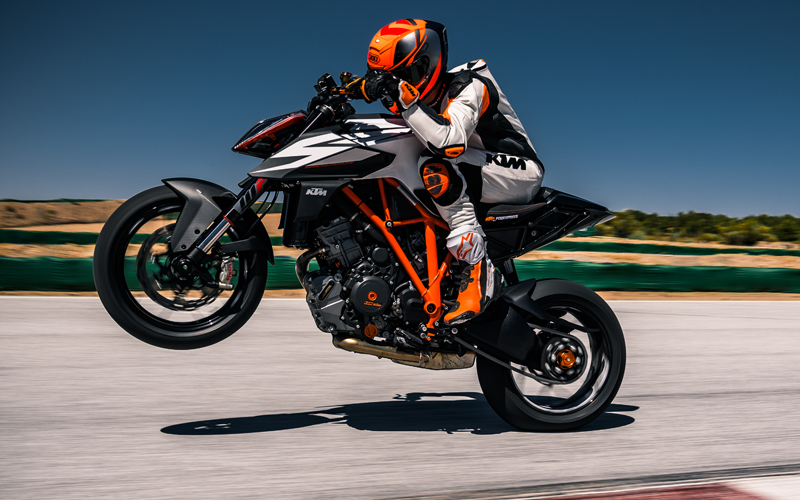 Stay ahead of the competition with the KTM RC 125's state-of-theart, liquid-cooled, single-cylinder engine with double overhead camshafts (DOHC) that provide a crisp throttle response, thanks to electronic fuel injection. The stylish sweet-sounding muffler meets EURO 4 standards. The KTM RC 125 has a comfortable big-bike feel with freedom of body movement for both rider and pillion. Clip-on handlebars and easily accessible switches offer advanced control, while a 10-litre fuel capacity allows hours of non-stop cornering fun. Ride the city streets and open roads with individuality by modifying your KTM RC 125 to suit your preference and style using the KTM PowerParts range. It boasts a wide variety of accessory options across KTM's Street motorcycle range. All KTM PowerParts are developed alongside their chosen machine, meaning that KTM riders only get parts that perfectly complement their ride and provide that important 'factory fit' straight from the dealer.